Originally published December 12th, 2016, updated April 3rd, 2019. Mobile app industry is not new to businesses making an entrance on a semi-hourly basis, trying to gauge whether they fit in or not and all the way hoping to get a share of all the good things that the stores have to offer – Global Reach and Sky-High Revenue Chart. But, mobile app industry is also not new to seeing new businesses come in trying their luck in the domain and leaving because of failed success. For an app entrepreneur, there can be nothing worse than the time where after investing a very good amount of time and money all they get left with is an app that sees either low or very short lived success. And the sad truth is that it is a very common occurrence. A huge challenge for any app based start-up entrepreneur is to search for the consistent and calm focus among the various highs and lows and finding the things to avoid after app launch. One minute they experience a great euphoria as they witness hundreds of installs instantly for they have employed all the factors that make apps successful, and the next second they feel despair that those were the only installs. Developing a startup takes time. But ensuring that your startup isn’t the one that meets the same fate is something that you cannot leave on time. And knowing what challenges stand ahead can definitely give you a head start, especially in devising post app launch strategies. Let us give you the kick and beware you of all the challenges that your app entrepreneur can face after your app hits the market. No matter how truly amazing your app idea is, there is a very minimal chance that they app idea you have is truly the one that the world has not seen or at least the mobile app market has not seen. In fact, chances are that if your idea is actually the one that has never been seen before, it will be only a matter of time before the market gets crowded with it. And for a startup working on a situation of low resources – manpower and funds – it can be one of those things to avoid after app launch an app that can keep you from establishing yourself in a crowded market place and not get lost in the crowd. The scariest part of it all is that the chance of you getting lost in the crowd are still prevalent even if follow the unwritten app ideation manifesto that the app should be developed only after understanding the users’ needs, the exact buyer persona, etc. Most often than not the team that you got associated with to develop your mobile app gets left behind once the project is complete and launched. So, once it all ends, the team that you have left is the one that you have to create. Now, theoretically, it sounds much easier than done. In words, you have to employ the “right” people with the necessary experience to take your mobile app forward till the end of time. But, when you enter the practical grounds in a reality where what you have to offer to those “right” people is next to nothing, it all seems to fall apart. After all, if it was this easy, it would not have been one of the most thought of post app launch strategies. 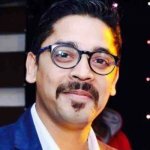 Getting a team together – the most thought upon after mobile app launch strategy – that is in sync with your app idea and your vision of the business when in return all you have to offer to them is hardly anything bigger than a tag of experience is something that takes a toll on the longevity of any startup. One of the biggest mistakes that app entrepreneurs make is confusing scalability with growth. They believe that scalability, like growth is expanding the business, witnessing a time when the revenue inflows are on an all time high, etc. When, in reality, there is a very thin but prominent line of difference between scalability and growth. While, in case of growth, you know you have to incur expenses in order to reach the next level, scalability, in its idea itself, means that you will have to work on growing your business while the expenses are kept very low and constant. Now going by the mere definition of scalability, something that we must go through for it is one of the most important to be followed eventually tips after launching an app, there are some other issues that get stringed along. Issues like the timing of scalability and the scope of it. If you scale your business too soon or too late, you will face failure and if you scale at the right time in the wrong domain, you will face failure. 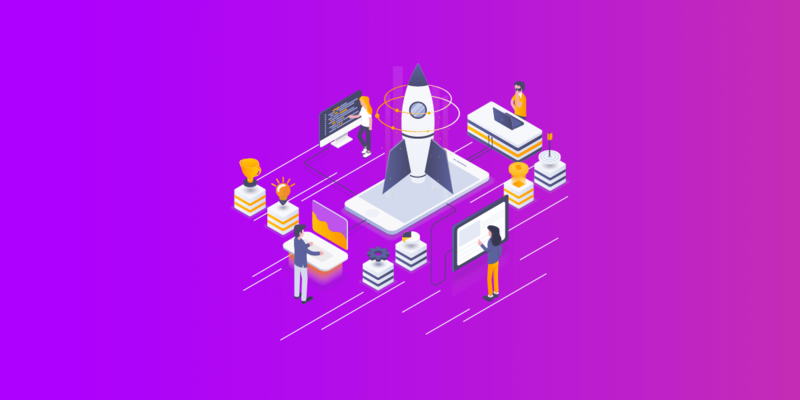 The task revolving around finding an answer to how to market a startup app is not even half as glorious and a piece of cake as the many listicles on the various marketing platforms tell you. There are A NUMBER of things you have to decide between – the right platform vs the cost effective platform – less expense vs wider reach – and the list of confusions and struggles goes on. The answer to how to market an app successfully itself has been the cause of demise of a number of brilliant app ideas such as your in the market and it is not going to stop. In fact, the more the platforms coming up to expose your brand to the world, the greater are becoming your chances to get sidelined. Spending to your company’s intent to create a presence in the market and not getting any results at the back of it can be very scary and the truth is, this scariness is what is keeping entrepreneurs awake every night. No matter what fund scheme you have backing your mobile app project till now, chances are that once the other side of real expenses kicks in, the money would run out. In fact, half of your money would run out when looking for best app marketing strategies only. That and the fact that in the mobile industry, the new trend that we see shaping up is one where the applications that get funded are the ones that are most talked about and thus used, are together making it an utmost necessity to find investors and quick. Read: How to Get Angel Funding on Your Mobile App Prototype? Now, getting investors, if anyone of you who must have tried is NOT EASY. There is always a company with a much investment wise unique idea knocking on the investor’s profile across platforms. And then the less talked in the open issue of the investors being a little soft on established names backing an app idea. All in all, getting funded is not easy. The tech market is on a continuous change trip. There’s no denying that. Everytime you think you are offering something truly unique, the next day industry moves on to the next big thing. Example, had you ever thought of an AR based game like Pokemon Go, which was once on everybody’s phone to get into a state where it is not even talked about anymore? The tech market changes too much for our liking. And for you to think that you are offering something of value today and assuming that it would always remain in demand is nothing more than being naive. The timeline of an app being IN in the market is reducing because of this very reason. There is hardly an app today that can promise survival in the market operating on the same business model. And, until and unless you are associated with an agency that is your app’s lifetime partner who helps you understand why to update your app and how, chances are that your app and its user base will ultimately succumb to non-existence because of the simple fact that it is never looked over from maintenance point of view. Constantly maintaining your mobile app can be a very difficult and a lot more easily ignored than one would like it to be, solely because without a team, you would hardly know what is actually technically wrong with the app and thus the circle of complaining reviews would only keep growing bigger. It is not new or even difficult for new app entrepreneurs to get deviated from the main app or the goal that they started the journey to achieve and why not after all, the time is too low to get stuck to one idea and keep at it, right? While seem to be very well fitting to the idea of carpe diem, it can do more bad than good. When you lose your focus and start looking at other feature set or technology addition, even if it doesn’t quite fit with your application, you often experience an event of chaos sooner or later. You find yourself sitting with multiple projects that have been started but are not going anywhere. Keeping a concentrated focus to at least bring it at a point of constant growth is a lot easier said than done. Here were the mobile app startup challenges that are in so many ways the sure shot medium to your startup’s quick demise. Did you notice how we didn’t give you any solution here? Well. Because we want to sit with you and understand you before we give a generic solution that would hardly fit your business. After all, like your business, the solutions for post app launch challenges should be unique too. So? What are you waiting for contact our business development team, today and get answers to the type of problems and solutions after an app launch. “What factors contribute to the success of a mobile app?,�?